The arrest was in relation to conflicts overseas. 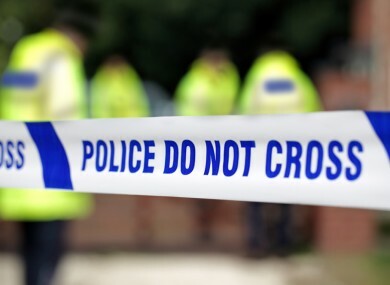 A MAN HAS been arrested in Cornwall on suspicion of preparing for an act of terrorism. Officers from the South East Counter Terrorism Unit working alongside officers from the Devon and Cornwall Police conducted the warrant for the man in Hayle in Cornwall last night. They said that the 26-year-old man was arrested on suspicion of preparing for an act of terrorism, under Section 5 of the UK’s Terrorism Act. Police said that the arrest was in relation to conflicts overseas and not a threat to Cornwall or the UK. I would like to reassure the community that this investigation should have very little impact on local residents. The arrest was pre-planned and was not made in response to any immediate threat to public safety in Hayle. Our officers will continue to maintain a presence in the area, offering reassurance to the local community. The man is being questioned by officers. Email “Man (26) arrested on suspicion of 'preparing for act of terrorism' ”. Feedback on “Man (26) arrested on suspicion of 'preparing for act of terrorism' ”.